We’ve already told you about San Vito Lo Capo: a beautiful destination for your summer holidays in Sicily, with its clean and crystalline sea, but also a small village full of life and events in autumn as well. But wait! Summer is not over yet: have you already checked our Sicily beach villas selection? The most famous one is surely the Cous Cous Fest! 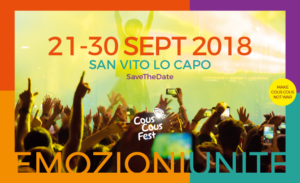 Among perfumes, colors and flavors from all over the world, since 1998, the Cous Cous Fest is an international gastronomic event held in the enchanting San Vito Lo Capo. The Cous Cous Fest, festival of cultural integration, comes with the desire to celebrate of one the most important dishes of the Mediterranean cuisine together with the passion for food, the cultural exchange, a wonderful binder between different cultures and religions. This year’s edition comes from September 21st to 30th. If you don’t want to miss it (and you really shouldn’t!) book your stay in one of our villas in San Vito Lo Capo or Trapani. Every year, great chefs from different countries come to this beautiful corner of Sicily to live a unique experience, challenging each other, preparing original and tasty cous cous surrounded by an enthusiastic audience. Ten days full of events, from morning to afternoon, cultural meetings, cooking shows and talkshow, and in the evening music and entertainment in Piazza Santuario or at the beach, with famous international artists, with free shows and concerts. Meat, fish, vegetables, exotic recipes and tradition, and also a gluten-free variant. There are at least 40 cous cous recipes to choose from the menus of Case del Cous Cous, the traditional cous cous tasting points. You’ll taste the dish of peace in an authentic multi-ethnic atmosphere. There will be at least 6 Cous Cous Houses located along the streets or at the beach where you will feel like in the desert dunes! And for sweets lovers: don’t worry! The delicious Sicilian desserts will be there too: cannoli, cassatelle or almond biscuits, all of them paired with excellent local wines. For those who want to learn how to make cous cous and discover all the secrets of cous cous making, it will be possible to attend the lessons of the famous cous cous chefs held inside the gastronomic laboratories. You could also attend two prestigious food competitions: the Italian Cous Cous Championship and the Cous Cous World Championship. You can also take part in the Popular Jury and taste all the dishes prepared by the chefs during the competition. You just have to buy the Ticket online. 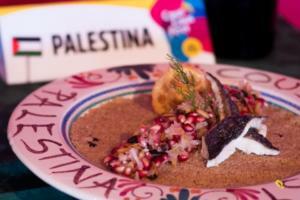 We suggest you to browse the official site for further information about the Cous Cous Fest! Last year’s winner was Palestine… and what about this year? Who will win the Best Cous Cous Award? It’s up to you to discover it attending this amazing event.